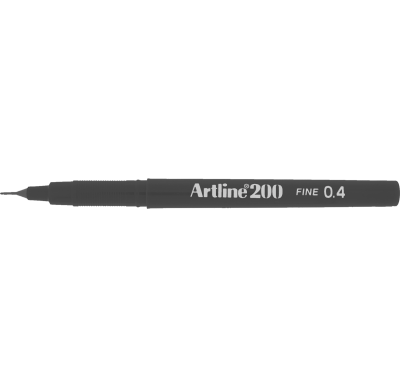 The Artline 250 fine bullet tip permanent marker has a slim line barrel. 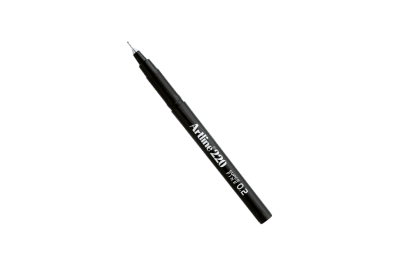 During use the cap fits snugly on the end of the barrel and also has a handy pocket clip on the cap. 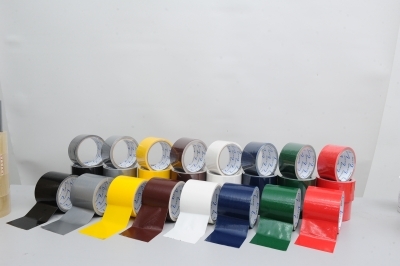 Available in eight colours with a polyacetal resin tip writing width of 0.4mm. 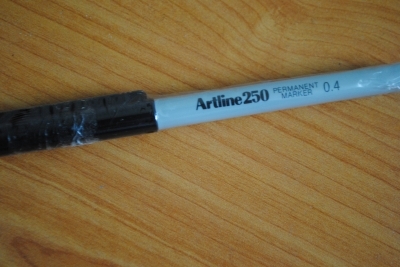 Artline 250 marker contains a safe Xylene free alcohol solvent based ink which is quick drying and water resistant. 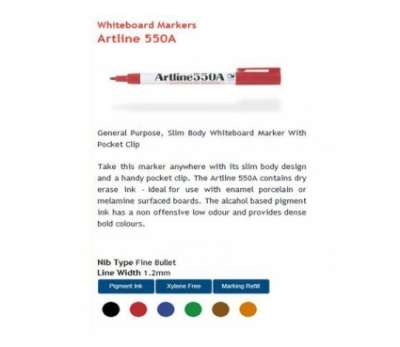 These markers are suitable for use on most surfaces including paper, cardboard, plastic, metal and glass. 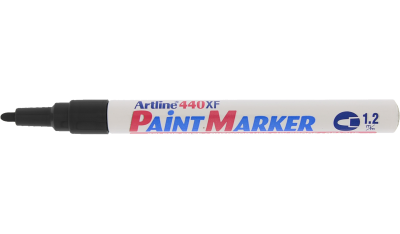 Colourful paint marker. 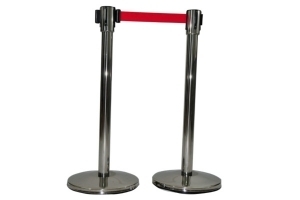 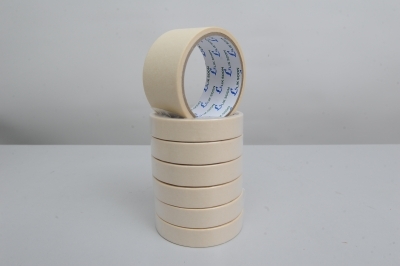 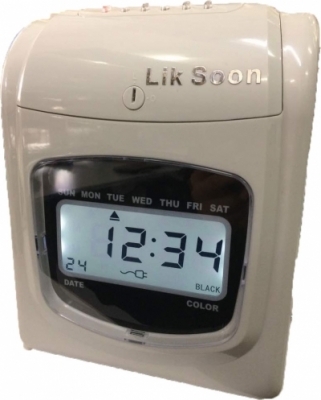 Suitable for glass, wood, metal, plastic.